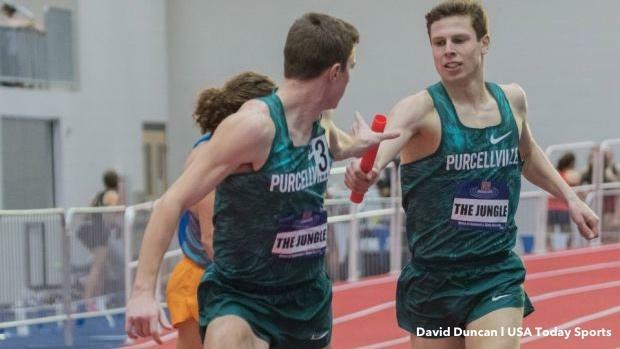 LYNCHBURG, VA -- The Loudoun Valley (VA) High boys didn't set a new national record in the distance medley relay on Friday at the VA Showcase, but the squad likely isn't complaining. Dispatching a talented crop of athletes from Brentwood's (TN) Cross Country Club and Bishop Shanahan (PA), the talented Vikings, first time NXN winners in December, went a new US No. 1 time of 9:56.18, which also stands US No. 5 all-time. Coincidentally, the national record set by Carlisle (PA) High last year also featured Sam Affolder, a junior for Loudoun Valley who transferred to the school over the summer. Affolder anchored Loudoun Valley with a 4:09 leg in the 1600m, finishing a terrific team effort by Colton Bogucki in the 1200 (3:02), Jacob Hunter in the 400m and Connor Wells in the 800m. 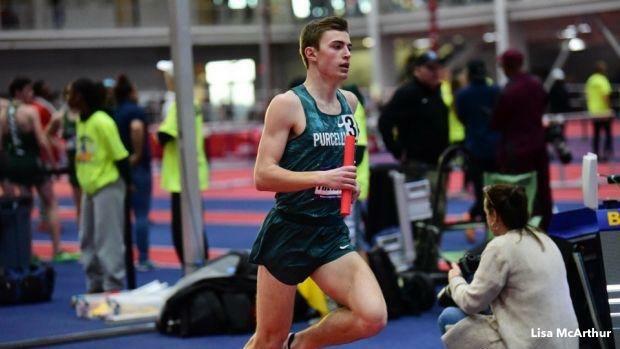 Brentwood did its best with Brodey Hasty's anchor in the 1600m, though with a 1K race looming on Saturday, he likely stepped off the gas pedal slightly as he overcame a nearly 200m lead by Bishop Shanahan when he took the baton. Brentwood finished second in 10:20.04, with Scott Thompson (1200m), Grant Thompson (400m) and Elias Sandifer (800m) all manning legs for the team.